Love and Capes Returns With a Baby! 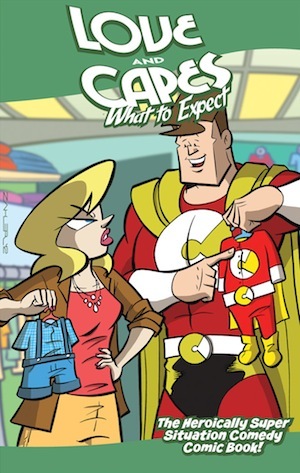 As first mentioned last year, IDW has announced the fourth volume of my favorite superhero series, Love and Capes by Thom Zahler. After getting married in 2010 (reprinted in Going to the Chapel) and then settling into life together, Abby and Mark, the Crusader, are now expecting a baby! 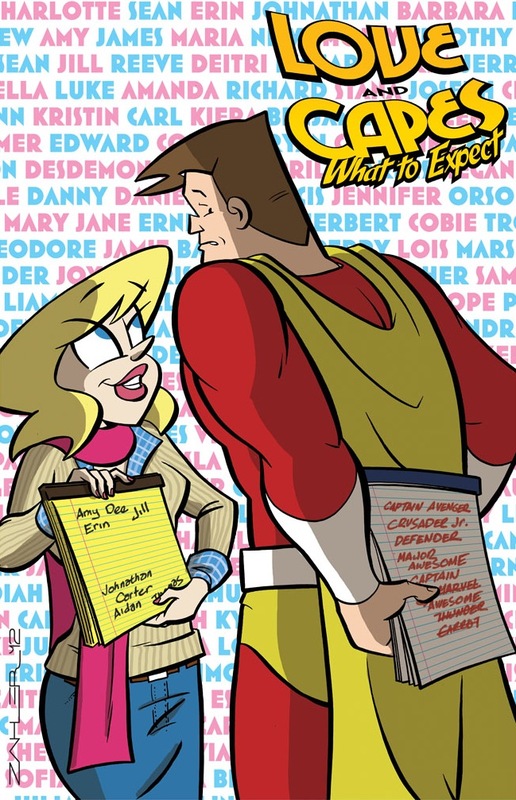 Zahler does an excellent job blending traditional superhero comic adventures and expectations with touching romance and well-observed domestic comedy. Love and Capes always entertains me in inspiring ways. IDW will also be reprinting all three previous collections for resolicitation to comic shops in August.